One of the biggest markets in the beauty industry is skincare - specifically, acne-fighting products. Acne can be caused by a variety of factors but is mainly caused by your pores getting clogged up with oil and dead skin cells. Usually, no matter how hard you try, acne is unavoidable - but a solid skincare routine of cleansing, toning and moisturising your skin daily can help maintain healthy skin. However, when it comes to covering acne with makeup, there are a few things you should know. I know the temptation is real - waking up with a new pimple leads me straight to my concealer collection. However, the best thing you can do is avoid makeup on acne and pimples. Makeup can clog the pores and lead to more dirt, causing more acne and further inflaming your skin. When it comes to wearing makeup over acne, you need to choose a product that is specially made for the cause. Choose makeup with acne-fighting ingredients in the formula, such as salicylic acid. E.L.F. Acne Fighting Foundation, the Neutrogena skin-clearing line and the Maybelline Better Skin ranges are products that might help. Lots of makeup brands have products that include salicylic acid - so as long as your skin isn't irritated by it, go for those ones! 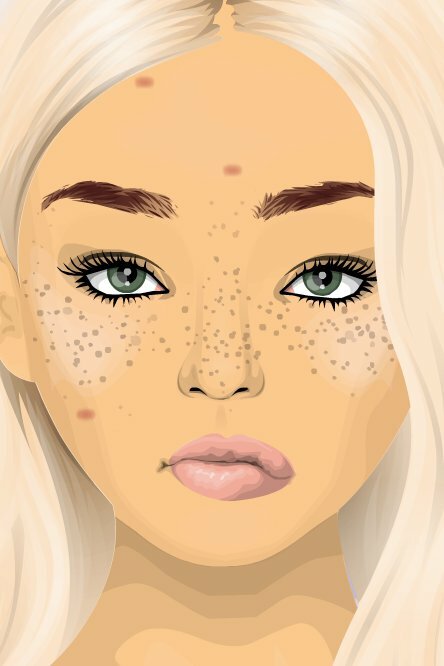 Of course, covering up acne with makeup is a choice you have to make - remember, you are beautiful either way!